After powering up one of the intra planetary teleporters (purple vertical bars are at maximum) the unlock animation/procedure does not start. The usual unlocking sound is beeing played endlessly. This occured at all two teleporters which i tried to charge and unlock thus far. As a result, no teleportation orb is appearing. One tractor + one trailor with one medium storage incl. eight charged small batteries + one medium wind-turbine + four small wind turbines are used. At my very first unlock attempt power was lost / became insufficient right after the unlocking animation was nearly complete, i.e. the structure had completely sunken into the ground. Savegame + Screenshot is provided. Bug still present in Version 1.0.15.0. You might need to put your batteries and the medium wind turbine on a platform instead of a vehicle. 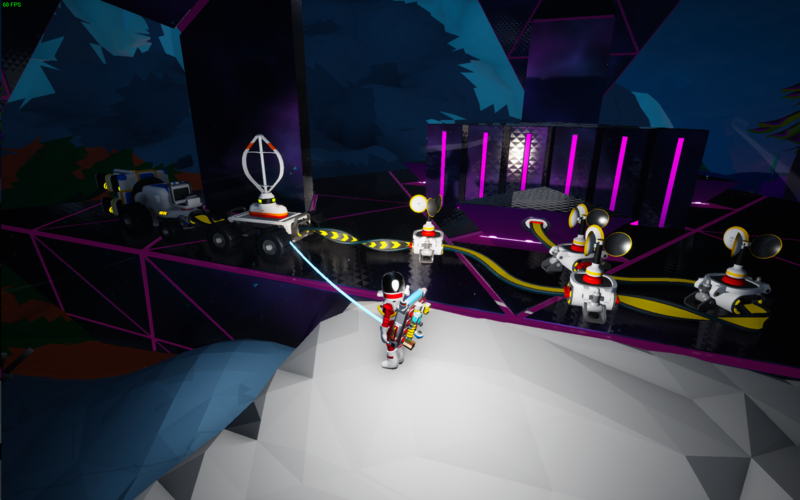 Specifically, any power production behind the extender-type connection will be used to fill the batteries that aren't full, and won't contribute to unlocking the gate at all. If you're on Sylva, you might be better off just collecting some compound nearby and making small generators to activate it. This is a problem a lot of people encounter with combining small batteries with other power sources behind extenders when activating gateways, but it isn't specifically a bug with the gateway since it happens in other situations when using extenders too. It's an order of operations thing. 1) All four batteries are <100% full, so all 4U/s of the RTG's power get consumed to fill the batteries, and since the batteries represent possible power output for the extender, the Gateway sees a total of 4 U/s. 2) Any or all batteries are =100%, so at least 1 U/s or more of the RTG's power output contributes to activating the Gateway, raising the power output above 4 U/s temporarily and causing the Gateway activation sound to begin playing. The result is that, in single player, the Gateway will oscillate as fast as possible between these two states, playing the activate and deactivate sound endlessly until you unplug it. it's probably possible to fix this just by specifying that connections plugging into gateways are always direct and never extender-type, but I have no idea how that would get ironed out on the code end, but in the meantime you can just make sure you use only all-batteries or only generators to power gateways if you must use vehicles.